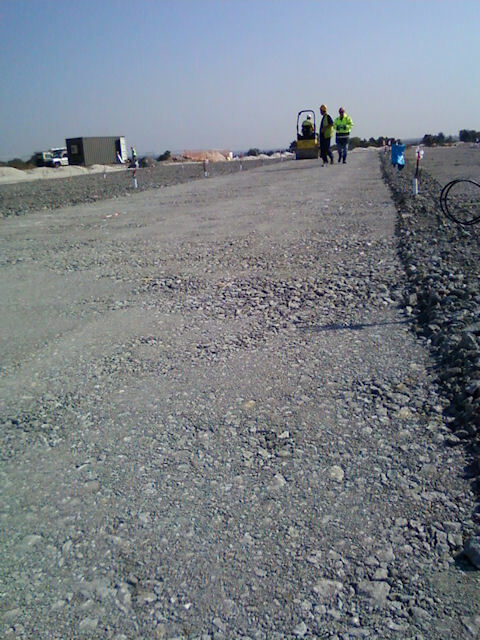 After the final layer of gravel goes down on the HBA array, it needs to be flattened. This is not only to create a smooth finish, but also to settle the ground. The machine used to do this is a mechanical roller, which not only flattens the gravel, but vibrates to settle it and any rock below it. In areas where the trenches have been backfilled, it is expected that some subsidence will occur during this process. However, after this packing has been done, an additional layer of gravel will be applied in these regions and the surface smoothed again to reach the required accuracy. It may look good, but there is more work to be done on this section of the HBA field. 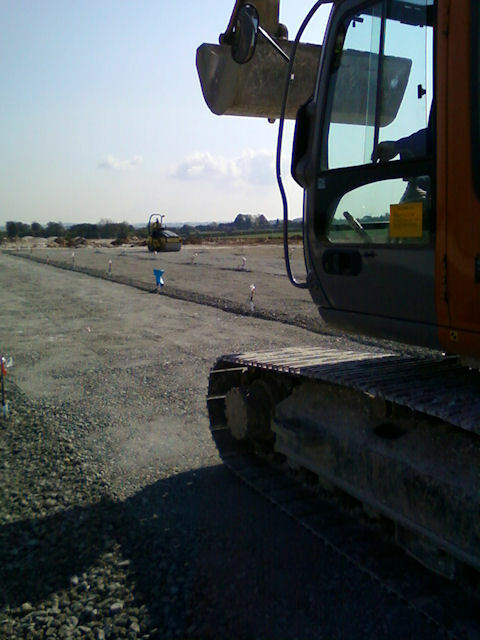 Having packed the surface, a digger prepares to roll over it. We intend to use this vehicle for the HBA tile placement, so it is important to assess if driving it across the finished surface causes any significant damage.